Chemicals used in Teflon and Scotchgard are Toxic? 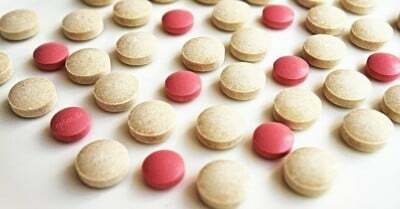 It’s long been known that, in certain concentrations, the compounds could be dangerous if they got into water or if people breathed dust or ate food that contained them. Tests showed they accumulated in the blood of chemical factory workers and residents living nearby, and studies linked some of the chemicals to cancers and birth defects. Moreover, ProPublica has found, the government’s understatement of the threat appears to be no accident. The EPA and the Department of Defense calibrated water tests to exclude some harmful levels of contamination and only register especially high concentrations of chemicals, according to the vice president of one testing company. Several prominent scientists told ProPublica the DOD chose to use tests that would identify only a handful of chemicals rather than more advanced tests that the agencies’ own scientists had helped develop which could potentially identify the presence of hundreds of additional compounds. The first analysis, contained in an EPA contractor’s PowerPoint presentation, shows that one chemical — the PFAS most understood to cause harm — is 24 times more prevalent in public drinking water than the EPA has reported. Based on this, the Environmental Working Group, an advocacy organization whose scientists have studied PFAS pollution, has estimated that as many as 110 million Americans are now at risk of being exposed to PFAS chemicals. In the second analysis, ProPublica compared how the military checks for and measures PFAS-related contamination to what’s identified by more advanced tests. We found that the military relied on tests which are not capable of detecting all the PFAS chemicals it believed to be present. Even then, it underreported its results, sharing only a small part if its data. We also found that the military’s own research programs had retested several of those defense sites using more advanced testing technology and identified significantly more pollution than what the military reported to Congress. In written responses to questions, the EPA did not directly address whether it had understated contamination from PFAS chemicals. The agency said it had confidence in its current testing procedures and had set detection limits at appropriate levels. It also stated that it is taking steps towards regulating some PFAS compounds and registering them as “hazardous substances,” a classification that triggers additional oversight under waste and pollution laws. The agency will “take concrete actions to ensure PFAS is thoroughly addressed and all Americans have access to clean and safe drinking water,” then-EPA Administrator Scott Pruitt, who recently resigned, said in the written statement to ProPublica in May. Such a determination could spur stricter limits on exposure than the EPA appears to have considered. Paired with an emerging realization that testing by the EPA and DOD hasn’t captured the true extent of contamination, the government could be forced to reconceive its approach to these compounds, said David Sedlak, the director of the Institute for Environmental Science and Engineering at the University of California, Berkeley, who helped develop one of the most advanced commercial tests for PFAS substances. Posted on November 19, 2018 Categories HealthLeave a comment on Chemicals used in Teflon and Scotchgard are Toxic? Charitybeds.com is an initiative by a group of young individuals who are disturbed by the discrimination faced by the under privileged at private hospitals in the city. We are a team of young professionals across various industries who feel there is a lack of accurate information and awareness about what the law stipulates and the ground reality. Our aim is to also provide information to other charitable institutions and organisations working with the underprivileged, on where they can go for free medical care. Private hospitals in Delhi have been allotted prime land for Rs 1 an acre as against a market value of 20 – 80 crores an acre, in return for this, the government made it compulsory for them to offer 10 % beds with ALL MEDICINES & TESTS INCLUDED and 25% of all OPD- consultation with doctors to be free. Charitybeds, helps all under privileged people achieve healthcare even when they have no money. A lot of private hospitals have joined hands with us and are actually working with us to fulfil their social responsibility. We do not charge anything, our only role is to facilitate and save lives, wherever we can. We help patients when someone calls us, we go to government hospitals and pick up patients from there, we help people reaching private hospitals directly. We help people who have BPL ( Below the poverty line) cards and people who do not have any card as they are not aware because they are so poor. Charitybeds.com works along with Ritinjali, a volunteer-based organization that is firmly rooted in its philosophy of providing a helping hand wherever needed, to anticipate social and community issues and to promote responsible citizenship. Mr. Arun Kapur, Founder,Ritinjali, is a key partner with Charitybeds.com. His team includes Mr. Naveen Pabla and Mr. Ashish Alex have supported us in creating Charitybeds.com. Charitybeds.com was born out of the vision of Mr Kapil Chopra, President,The Oberoi Group. His leadership has brought the initiative together and it is his passion and commitment to the cause that is the key driving force behind this initiative. Mr. Lalit Bhatia one of the key people heading the initiative has been a social worker for over 25 years and offers his expertise and knowledge in multiple social welfare domains.He works closely with senior citizen welfare schemes and works full time with Charitybeds.com. They visit hospitals daily, creating awareness and till date have distributed over 30,000 flyers and run a poster campaign along with awareness camps in every major hospitals. Gagan works along with Mr Bhatia to ensure that we can even help more people, Gagan is an aspiring filmmaker and a photographer who is passionate about social causes and you can also check out his patient testimonial videos on the website. In addition to this,we have volunteers who come and work with us on a daily basis.You will find our people in all hospitals across Delhi everyday from 10 AM to 5 PM. We need your help,call us and volunteer a day with us, spread the word, tell friends, tell journalists, post on Facebook, let us get the message out. Everyday, inspite of all our efforts, only 400 out of 653 free beds get utilised, everyday,someone dies because they did not have money to buy medicines or get medical care. We are racing against time, help us to reach more people. It is the least we can do for this country. As of now, we operate only in Delhi but patients can come for any part of India and seek our assistance. We soon plan to be in Mumbai where most of the trusts which run hospitals actually do not support any free healthcare inspire of sitting on government land worth crores. If you would like to contribute for the cause, please call Lalit Bhatia 99990 71842 or Gagan Bharti 7838348237 we need posters and flyers all the time. You might think that 80 times the aroma of a particular plant, even a pleasant-smelling one, would overwhelm the senses. 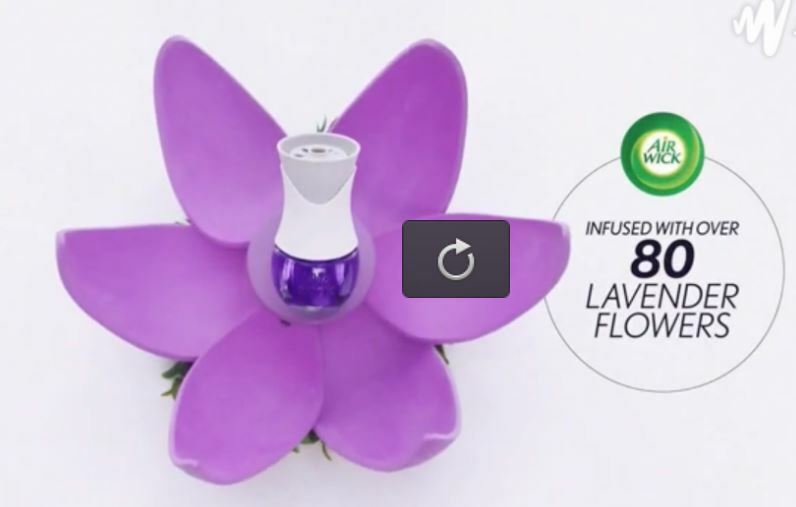 But no one’s wincing or dry heaving (thankfully) in the above TV commercial for Air Wick’s essential oils, specifically its lavender scent, which the company claims is “infused with over 80 lavender flowers” per bottle. In fact, two of the three subjects in the ad appear pleasantly surprised when they find out that what they thought was real lavender was actually Air Wick’s product. But how is this scent really achieved? It is very unlikely that there is any real lavender in this product, as they have supposed customers choose between its scent and “real lavender.” Even if it did contain real lavender, it is highly doubtful that they would be counting the number of flowers in every bottle. TINA.org asked Air Wick how it arrived at over 80 lavender flowers per bottle. We have yet to get a response. But what we found when we looked up a lavender-scented essential oil on Air Wick’s website is that the first ingredient in the product (and thus the most predominant) is not “over 80 lavender flowers” but fragrance. The Environmental Working Group, a nonprofit that examines ingredients in consumer goods, has referred to the ingredient fragrance as “a black box for hundreds of chemicals in thousands of everyday products.” This is because fragrance is one of two ingredients on a product label that itself can be comprised of hundreds of natural and synthetic ingredients. The other is “flavor.” Under U.S. regulations, companies are allowed to simply list “fragrance” or “flavor” to protect trade secrets. Sometimes people think that if an “essential oil” or other ingredient comes from a plant, it must be safe. But many plants contain materials that are toxic, irritating, or likely to cause allergic reactions when applied to the skin. Find more of our coverage on essential oils, which are prevalent in the MLM industry, here.